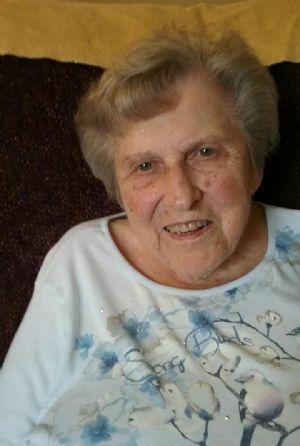 Marion H. Boire, age 96, of Ripon, WI, was called to the Hands of her Lord on Thursday, January 24, 2019, at Whispering Pines Nursing Home in Ripon. Marion was born on September 28, 1922 in Milwaukee, WI, the daughter of Frank and Margaret (Witschonke) Last. She married Edward Boire who passed away in 1987. Marion had tremendous faith in the Lord and was a devoted member of Grace Evangelical Lutheran Church in Ripon. Marion is survived by her son, Kenneth Boire and David Reinke, grandchildren, Carrie (Mike) Zuehlke and Matthew (Mindi) Huebner; four great-grandchildren, Preston and Isabella Zuehlke and Victoria and Meredith Huebner; and two cousins, Caroline Klebenow and Donald Last. She was preceded in death by her husband, Edward Boire; a daughter LeeAnn Huebner and son-in-law, Roy Huebner. A private family entombment for Marion will take place at Wisconsin Memorial Park in Milwaukee, WI. A memorial is being established in her name.